Adam Goodman is an assistant professor of Latin American and Latino Studies and History at the University of Illinois at Chicago. His research and teaching interests include migration history and policy; Mexican American and Latina/o history; and recent U.S., Mexican, and Central American history. 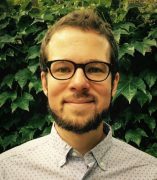 During 2018-2019 he will be a Faculty Fellow at UIC's Institute for the Humanities, where he will be working on a book (under contract with Princeton University Press) about the history of the deportation machine in the United States. Goodman has published articles, essays, and reviews in academic venues like the Journal of American Ethnic History and popular outlets such as The Nation and The Washington Post. His work has been supported by the National Endowment for the Humanities, Fulbright Program, Miller Center, and Immigration and Ethnic History Society, among others. In 2017, Goodman helped organize the #ImmigrationSyllabus project. He currently serves as the faculty advisor for UIC's Fearless Undocumented Alliance and is also a co-coordinator of the Borderlands and Latino/a Studies Seminar at the Newberry Library and the Global Migration Working Group at UIC's Institute for the Humanities. Before moving to Chicago, Goodman was a Provost's Postdoctoral Fellow in the Humanities at the University of Southern California in Los Angeles and a visiting scholar at the Universidad Nacional Autónoma de México in Mexico City. He received a PhD in history from the University of Pennsylvania.